to enter contest and read contest rules. With a rectangular 5-diopter lens (225% magnification strength aka 2.25x) that measures 6” wide by 4.5” long, the XL Edition of LightView PRO brings reading fine print and working on detailed tasks into clearer focus than ever before for aging eyes. Gone is the inconvenience of a round lens; an elongated magnifier captures a greater breadth of details within a single frame. Assemble LightView PRO XL to suit your needs. The versatile, innovative design lets you customize the height of your lamp. An adjustable 1 ¼” wide arm attached to a slightly arched metal support of 2” diameter easily rests on a desk or table. To convert to a floor lamp, simply insert the included straight pole in between the flex arm and the base, and you’re good to go! 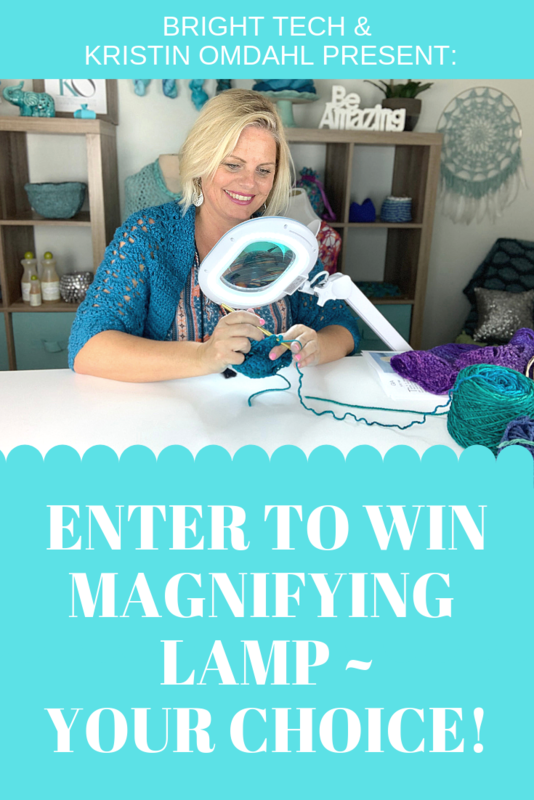 Drawing on just 9 watts, this energy-saving Magnifier Lamp will last up to 100,000 hours. 60 embedded miniature LED lights orbit the rectangle-shaped, 5-diopter glass, producing brightness without generating heat. The lamp's 900 lumens equal a 65W incandescent bulb. Light color temperature is 5,000 Kelvin, meaning its cool white hue brings every detail into focus. Slender arm pivots in any direction; adjust position without loosening or tightening knobs. Unlike plastic (acrylic) lenses that scratch easily or get distorted by heat or sparks from soldering, our lenses are made with genuine diopter glass. That makes them scratch and heat resistant for much greater durability. One entry per email address. Open to US residents over 18 years old only. Winner will be announced March 4, 2019.